With about a month to go before the May 18 Federal Election, the Waste Management and Resource Recovery Association of Australia (WMRR) is calling on everyone – from our essential industry to the community – to call for an Australian Recycled Content label to highlight and support the use and purchase of Australian recycled material. This will go a long way in building the strong domestic remanufacturing industry that Australia needs, which means jobs in Australia. Waste management and resource recovery is a shared responsibility and until we actually support and buy made in Australia recycled goods, we will struggle to build the economy we all want. The waste management and resource recovery industry has focused on building the capacity to increase recovery, processing and remanufacturing of recycled materials. Following the announcement of China’s National Sword, many operators have not only pushed through with collecting and sorting despite the growing pressure, but they have also ramped up their operations, invested millions, and thrown their support behind building domestic remanufacturing capacity. But they can’t keep doing this alone, we need market demand for recycled products in Australia, from Australia. “China’s National Sword policy brought to the fore the need for Australia to focus on domestic processing and remanufacturing. It showed everyone where the gaps were and what issues we needed to fix,” said Gayle Sloan, WMRR CEO. “While industry is willing and ready to up recovery and remanufacture materials, and community has expressed a hunger for resource recovery, we need support and collaboration from all stakeholders, we especially need leadership from the Federal government. “The reality is, we needed 1.2 million tonnes of remanufacturing capacity in February last year. Today, we still need that capacity, if not more, as other countries such as India and Indonesia begin enforcing their own contamination levels of imported commodities. And imagine how many jobs will be created if we build that capacity! 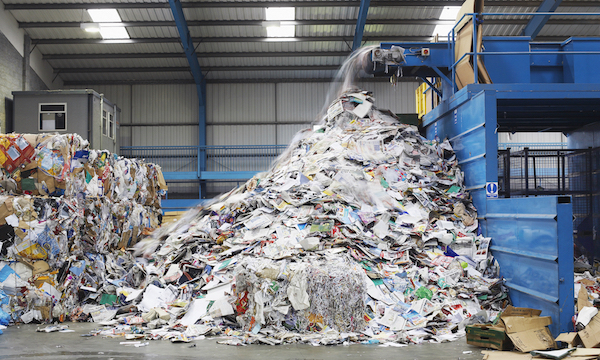 After all, we know that 9.2 jobs can be created for every 10,000 tonnes of materials recycled. The Australian Labor Party’s waste and recycling policy released last week offers a ray of hope, with commitments to mandate recycled content targets for all government departments, stimulate demand for recycled material, direct its $1 billion Advanced Manufacturing Future Fund to work directly with manufacturers looking to develop solutions to single-use packaging, and develop a $60 million National Recycling and Circular Economy Fund. The Opposition Leader’s reinforcement in the Budget reply of making “Made in Australia” famous again gave us even more hope. “We are now calling on all parties to adopt and more importantly, push forward a range of commitments underpinned by one motto – buy Australian recycled content,” Sloan said. “We need all government departments to mandate sustainable procurement of goods that include Australian recycled content and to be held accountable for their procurement decisions. This is what government leadership looks like and with a top down approach, manufacturers will follow suit. Further, we need support for domestic remanufacturing not later, but now. A whole-of-government approach to circular economy, including considering tax reform and import restrictions to support the sector.